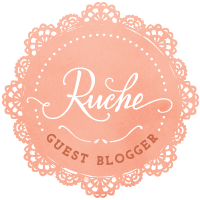 Guest posting at A Little Artsy today! Emily, you’re amazing! 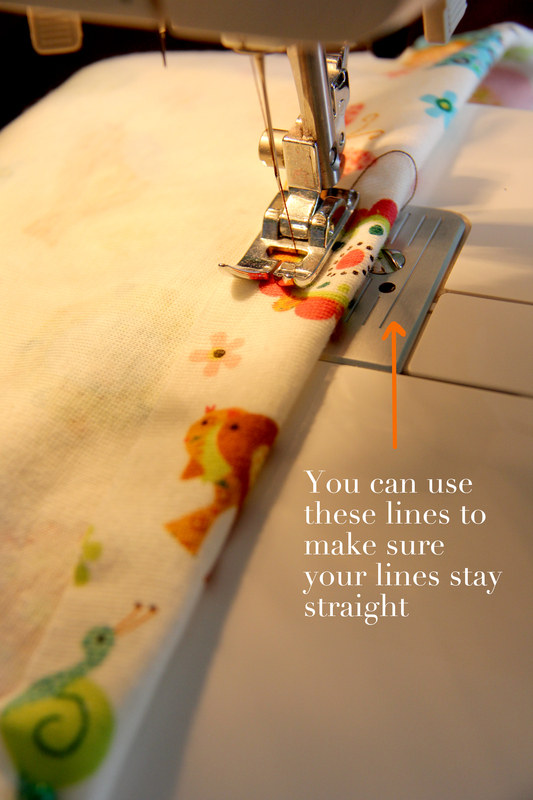 I love your sewing lesson for beginners! Way to keep it simple and explicit enough to take away beginner’s fears. Very inspiring! Thank you so much for this tutorial! I am just waiting for my daughter to get home to measure her waist for the elastic. I am SUPER excited! 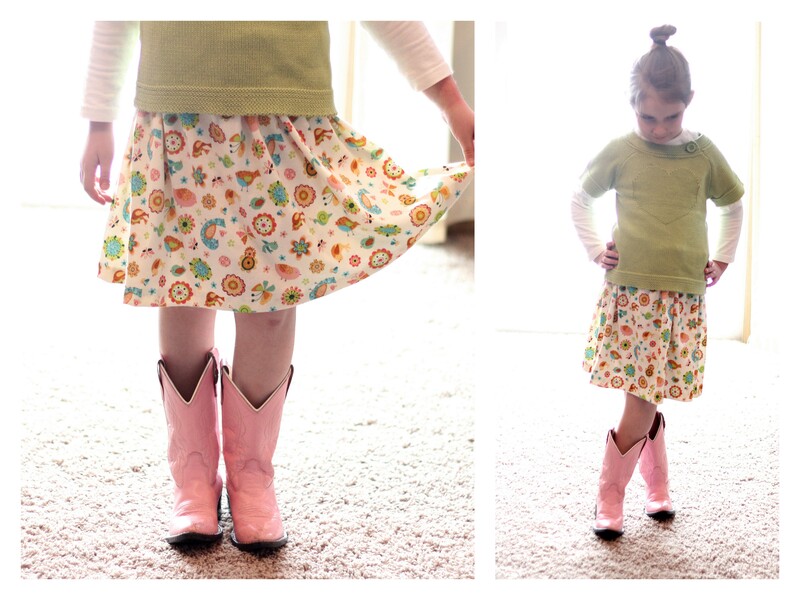 This is my very first article of clothing that I have sewed for my children and so far it looks great! I’m so proud of myself and now have more confidence to continue making more projects for them! Thanks again!! new follower, thanks for the pattern! Thank you!! So glad it was helpful to you! Great and simple. Are we supposed to finish the seams. This is great! 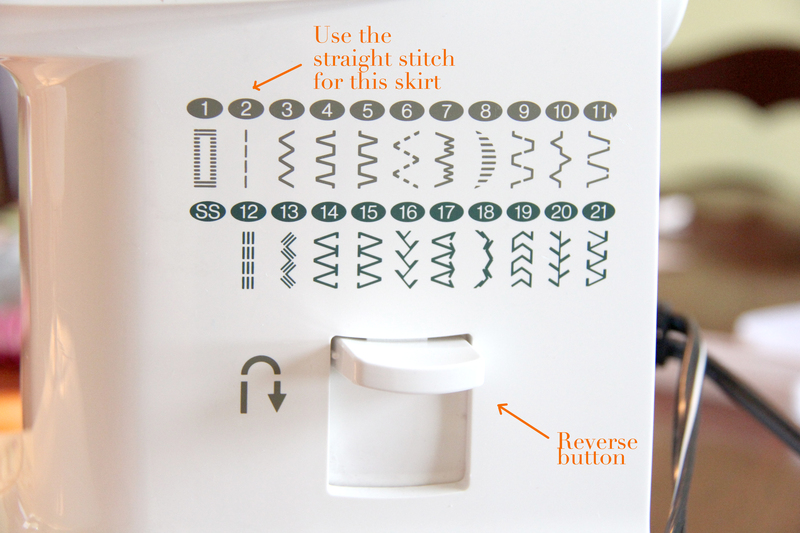 I have sewn a few simple skirts but I still get intimidated, especially when tutorials use complex terms and numerous steps. I would rather have a simple understanding, then “fine tune” my work as time goes on. 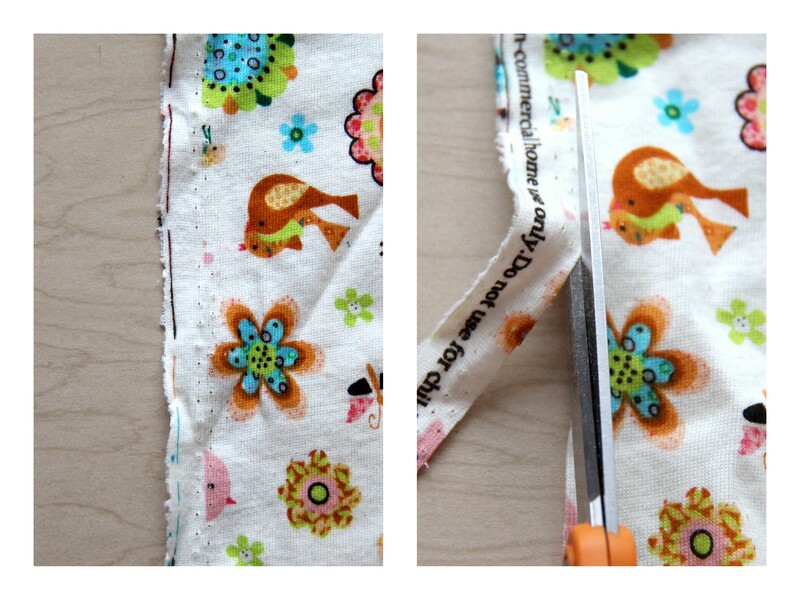 For me to enjoy sewing, I need the freedom to “go” without a ton of constraints and steps to follow. Otherwise it feels too constricting instead of creative and fun. This is exactly what I love! Thanks! Thank you! I’m so glad you like it! 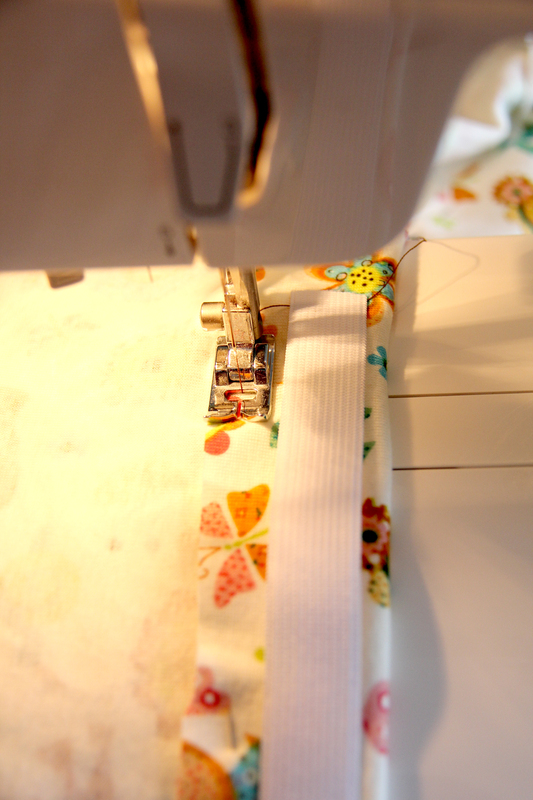 I am the same way – lots of rules kind of ruins the fun for me :) I thought maybe just giving people a basic first step would help instill confidence and give them the encouragement they need to take that first leap into sewing! :) Thank you for your feedback! Is that a knit you’re using here? I’ve never been adventurous to sew with knits because I’ve heard it can stretch out of shape on the machine. Curious to know if you feel it’s easier than that. well done, a cute result. thanks for your work! Hi! I would definitely double over any of the seams that you are able. 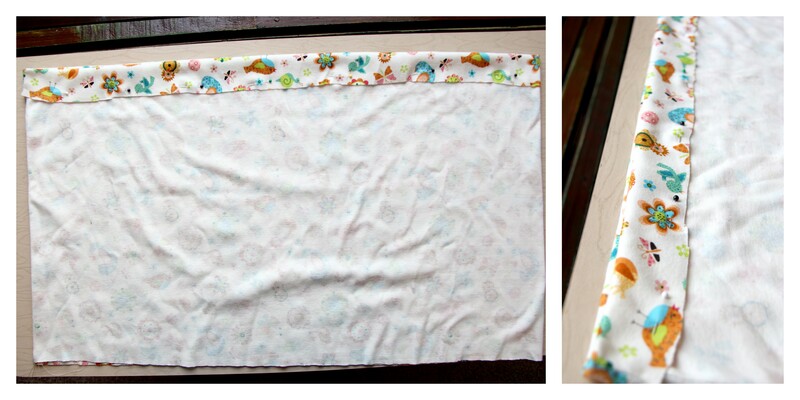 When I wrote this, it was geared for someone who had never sewn before and just needed a simple, quick place to start. 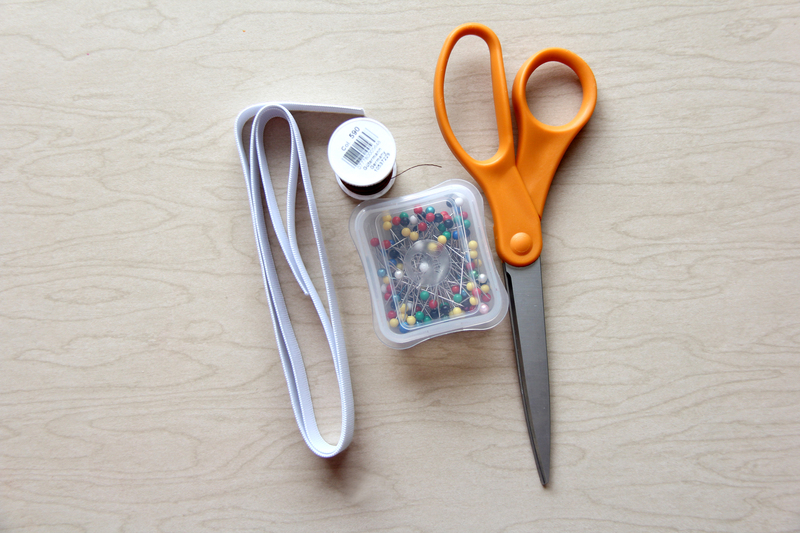 So I included just the most basic steps needed to get a project successfully finished. For what it’s worth, I used a cheap cotton fabric and didn’t do anything differently than what you see and I haven’t had any problems with unraveling. 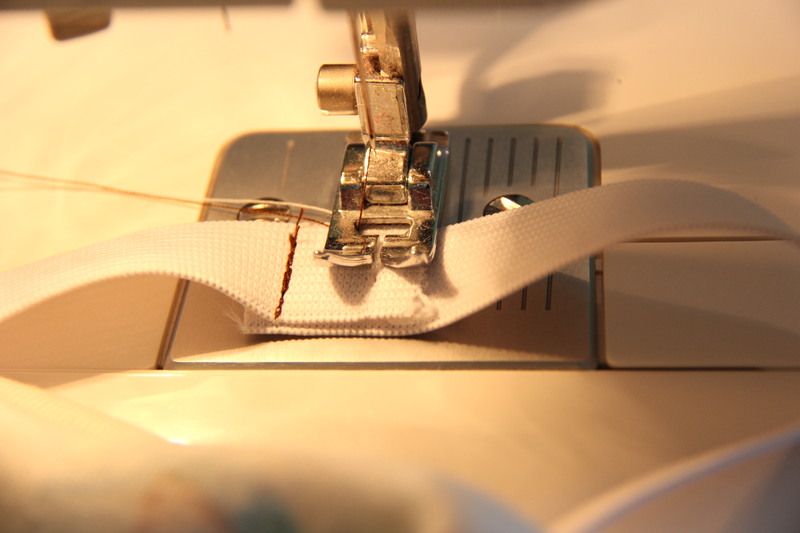 But you are completely right, it depends on the thickness of the fabric and if you feel comfortable adding the step of the extra seams you should go ahead and do that. Hope that helps! I am about to try this as my first piece of clothing. 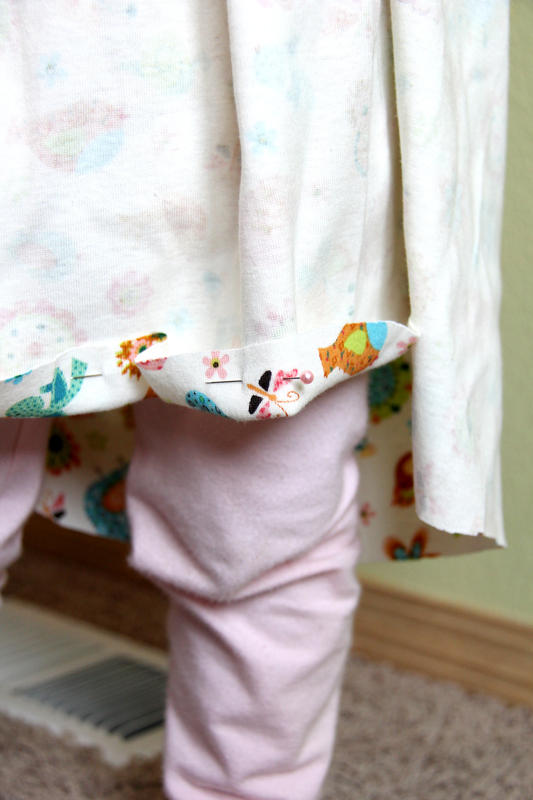 If my daughter’s waist is more than 18″ (1/2 yard) do I still make it with half a yard or measure to her waist? I wasn’t sure whether the elastic would sort this or not. I cut my material and there is no way this is going to fit my girl. Even if I left a huge slit down the leg it still wouldn’t go round her, and that;s with me adding a few extra inches. It would be a super tight straight skirt. Where have I gone wrong? Oh i’m sorry! Without seeing it, I’m not sure what happened. My daughter was 6 when I made this for her and there was plenty of fabric to go around. Possibly you cut down the wrong way of the fabric. 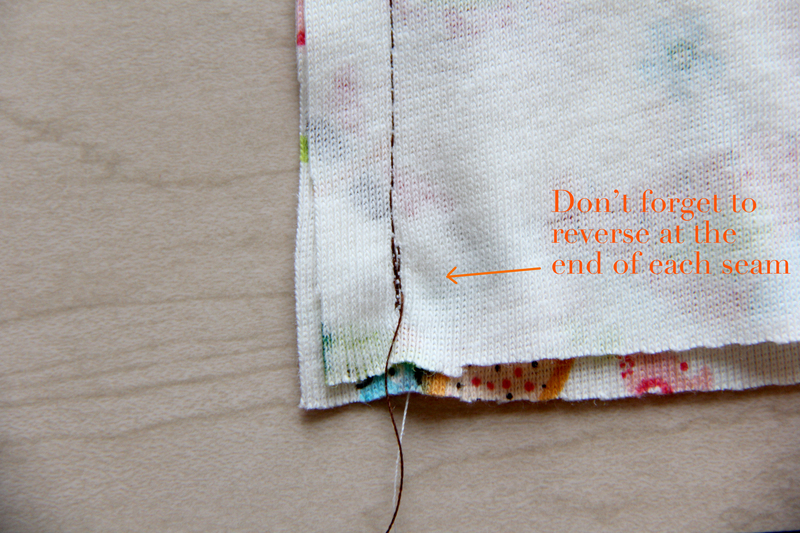 I had my fabric laid on the table with the fold on the short length of the material on the far left of the piece. 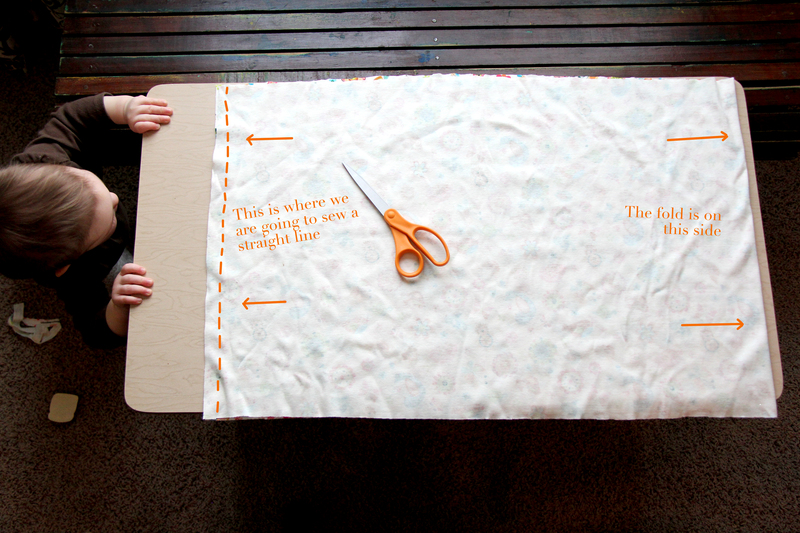 Sorry it’s not working out…the fabric circle should be around 1.5 the width of the person you are sewing for. Hope that helps! Thanks for your reply. I have since learned that the yard measurements relate to off the roll. I did not realise until I read up on it. Haha beginners eh. Sorry for confusion. I did not know what I was doing. 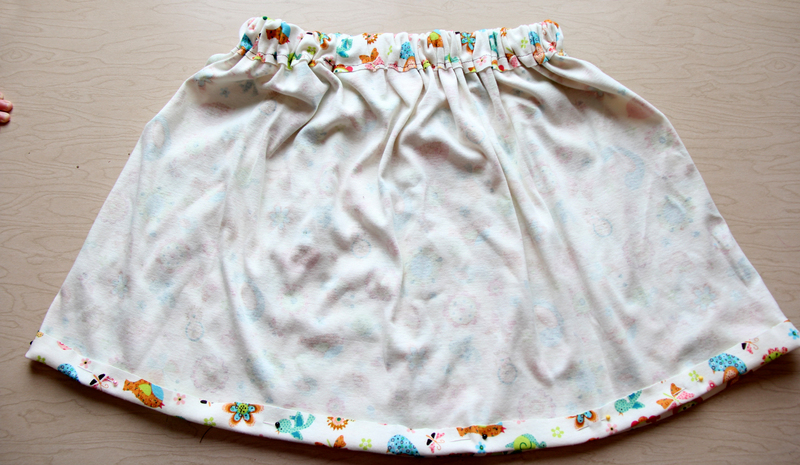 I just made my first skirt ever, and I only had to pull one seam! Thank you for such clear instructions, they were very easy to follow. Hello, will you clarify the exact measurements of a half yard of fabric? I’m a confused beginner. Thank you! 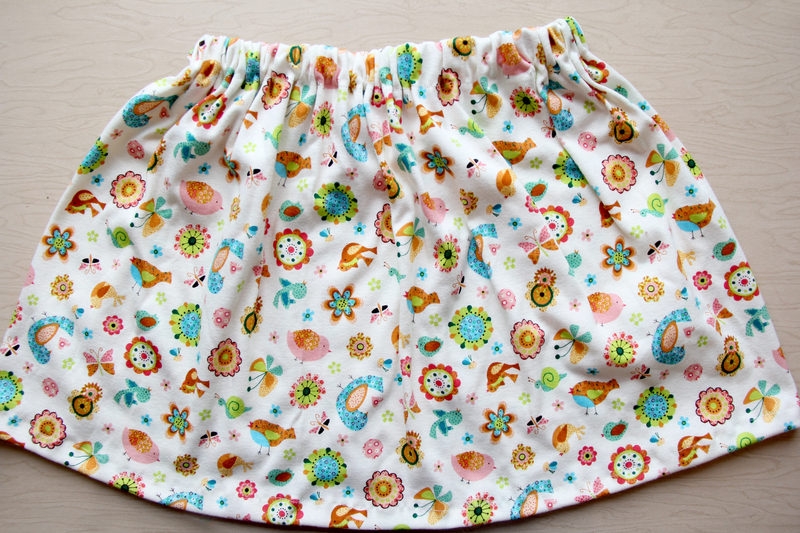 My 8-year-old granddaughter and I just completed our first skirt. 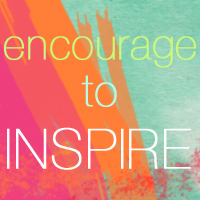 A wonderful way for me to share my interest in fabrics, color, and easy fashion with a very motivated young lady. 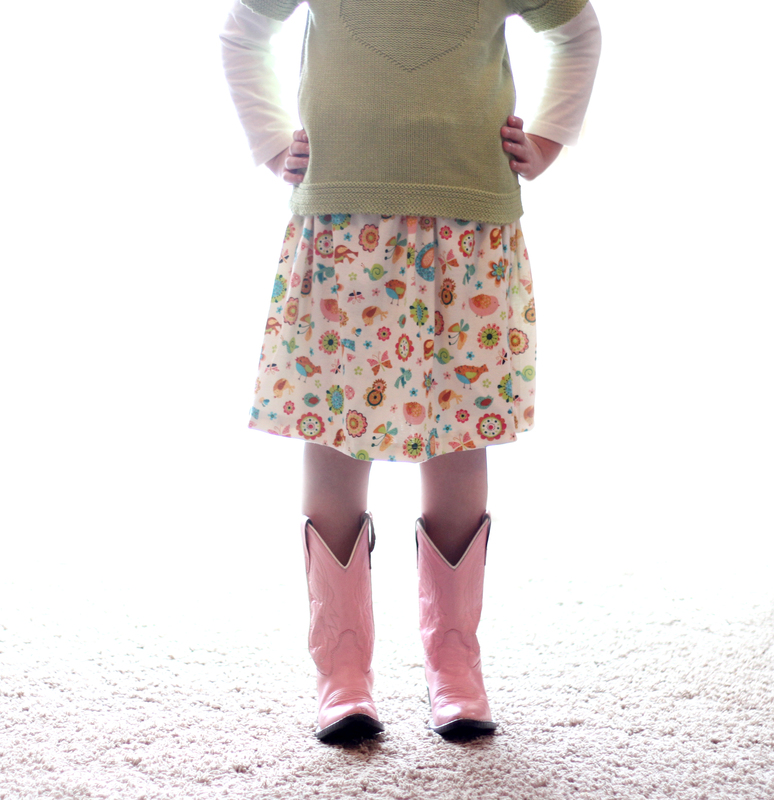 We used a lightweight paisley corduroy that Grace loved at first sight. She’s actually wearing the skirt to school tomorrow, paired with a roomy sweater and leggings. 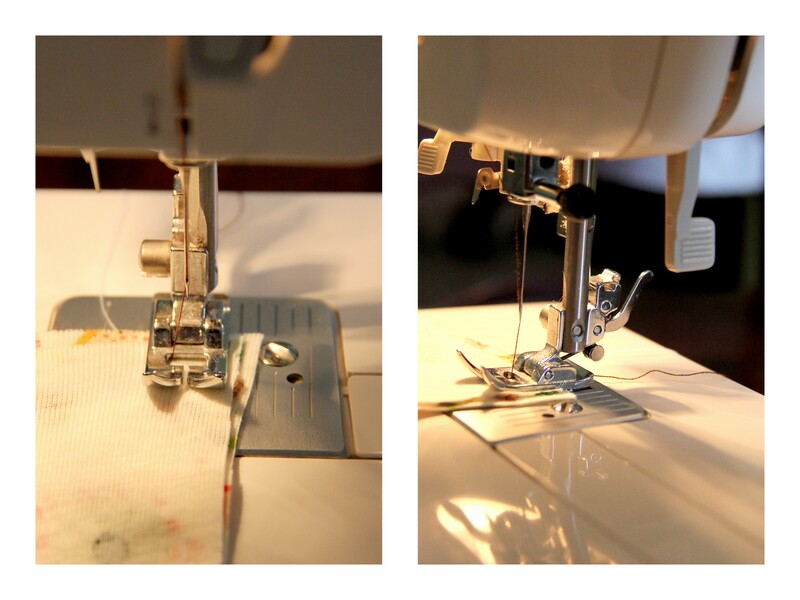 For most of the process, I guided the fabric under the needle while Grace controlled the pedal. Thanks so much for this easy-to-follow project. 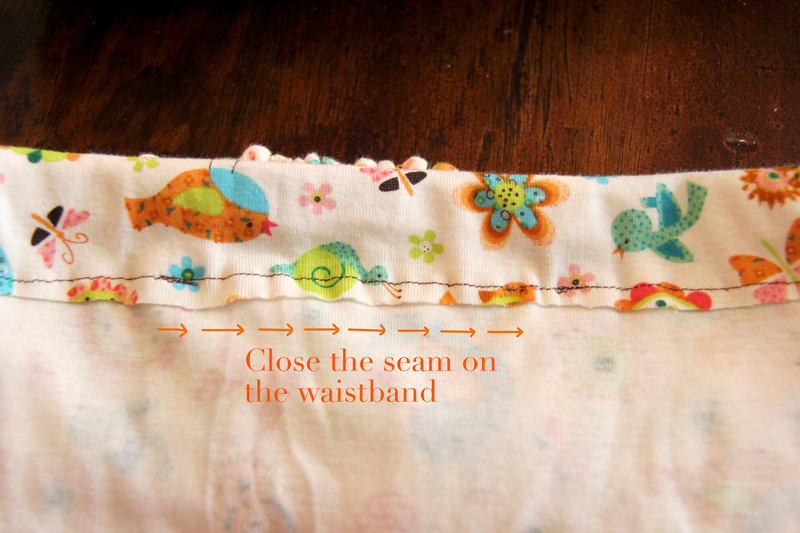 When measuring the waist elastic, do you stretch the elastic to git the waist comfortable? I know it sounds dumb, but I am new to sewing clothing. Thanks so much! 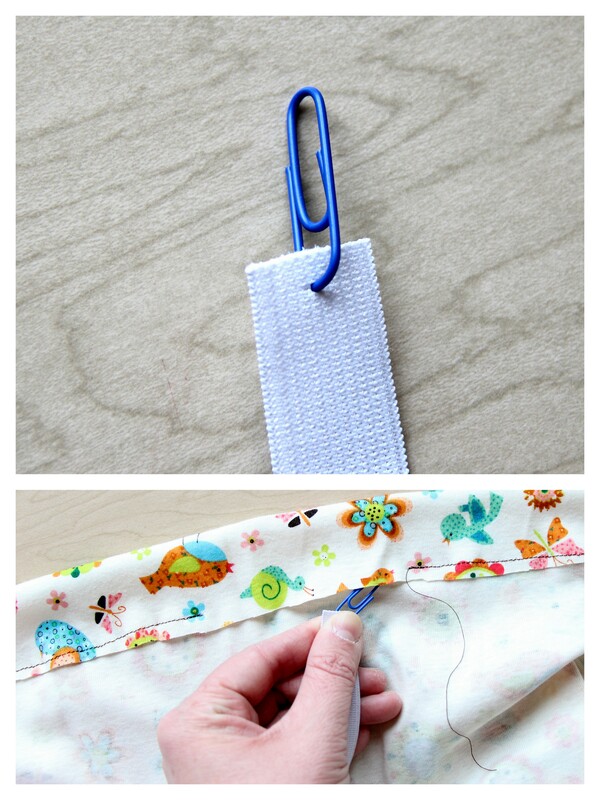 Making a skirt on monday using your instructions. I think this seems simple enough for me. Thanks for the direction, I am excited! How do u know the width? Does it matter what size it would be?